The first ever gaming headset to feature multiple layers of fitted ear padding. Extreme clarity and accurate, developed at our own labs. The Sennheiser technology delivers ultimate sonic accuracy and clarity by channeling signals directly into your ears. Plenty of space around your ears for best fit and comfort. Professional-grade noise-canceling microphone with intuitive mute function. The closed design blocks out all outside noise allowing you to focus on your game. Amazing headset, the sound is phenomenal. Has a noise cancelling microphone and with it's input adapter is compatible with my Xbox One. Stays comfortable, even after long gaming sessions. I finally decided to switch from the Logitech G933's. 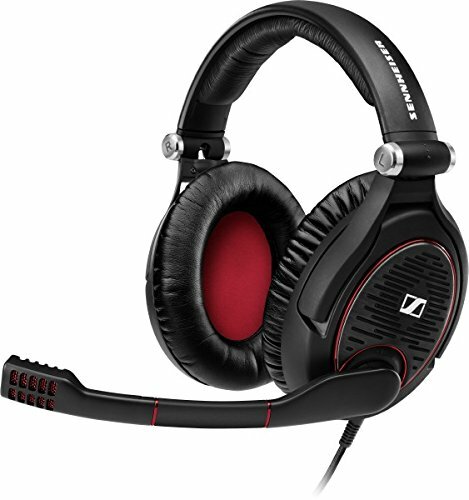 With constant disconnects and what I now realize was sub-par audio quality, I switched to the Sennheiser G4ME ZEROs. These have been a game changer for me. 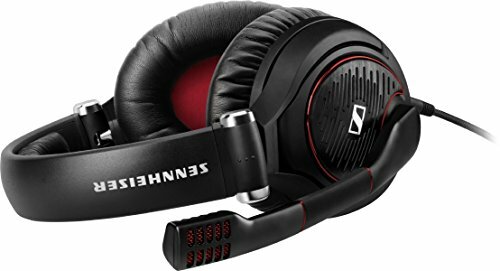 They are super comfortable and the audio/mic quality has been fantastic. I'm in love. Next thing I'll do is get an amp so I can truly experience these. These are the most comfortable headphones I have ever owned. The microphone is the best I have used for combination headset. It doesn't pick up audible sounds from my mechanical keyboard or mouse clicks when I use an open microphone in audio programs.